Durable Performance & Beauty - Design and Build. Exceptional workmanship. 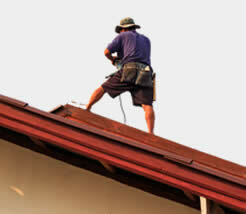 Services: Roof Replacement. The Best Tile Roofing Craftsmanship Guaranteed. Call Us For A Free Estimate! 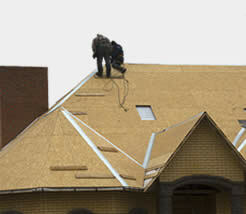 Experience Richard's Roof Repair services, fast dependable and affordable Roofing needs. 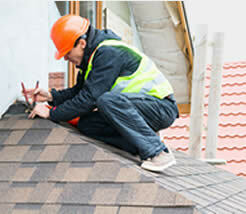 Richards Roof Services would like to invite you to a free roof inspection and demonstration. 100% free and no strings attached. You will be amazed at roof cleaning results! We’re just that confident in our process! It’s important to get an accurate and honest roofing estimate so you can make the right informed decision. At Richards Roof Service, LLC, we are a residential roofing contractor that provides the most professional tile roof installation and repairs of any roofing contractor in the Pacific Northwest. Our service area includes a broad range of communities such as Olympia, Tumwater, Tacoma, Gig Harbor, Port Orchard, Bremerton, Puyallup, and many others. One of our specialties is all manner of tile roof work, and we can handle everything from tile repair to roofing maintenance, restorations, and of course, roof additions. Thinking about a roof replacement? If your roof has suffered some weather damage, we can also do a residential roof replacement that will restore a weather-tight quality to your home, and add the terrific appeal of a tile roof system. Even if your home hasn’t sustained any kind of severe damage, you may be thinking about a total roofing replacement for a look that is a better reflection of your personality and taste. And of course, every roofing system will eventually need to be replaced, no matter how good it is. Whatever the reason might be for you considering a complete roofing replacement, Richards Roof Service is the tile roofer you should contact first. Apart from the most obvious roofing services like replacements, repairs, and installations, there are a number of other important procedures our roofing company provides which can extend the life of your roofing system, and keep it performing up to its best. Moss removal – it’s very easy for moss to begin growing on your rooftop, given that the air carries all the necessary moisture to give it a boost. But moss growth detracts from the appearance of your tile roof, and can even cause damage if left to grow unchecked. Gutter cleaning – it doesn’t take long for wind-blown debris to settle into your roof’s gutters and accumulate there. Once it does, that can cause blockages, and interfere with the designed drainage process, and when water accumulates at any point around your roof, it has a way of seeping into the home or saturating the framework of the home. Leak sourcing – if you have a leak anywhere in your roofing system, our roofing experts will locate it, determine the extent of the damage, and make all necessary repairs. Localized replacement – when your roof has sustained localized damage, it may only be necessary to replace a few tiles from a specific area, rather than a full replacement. 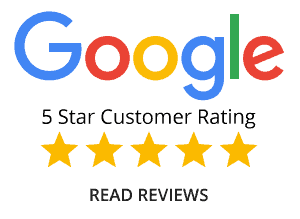 At Richards Roof Service, LLC, in Shelton, WA, we’ve already had more than 20 years of experience providing great customer service to the fine residents of the Pacific Northwest communities. 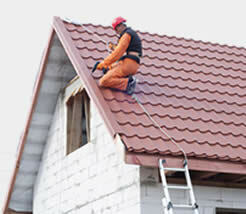 During that time, we’ve established a reputation as a reliable and very professional team of roofing specialists that can handle any kind of tile roofing requirement you may have. Contact us today with any inquiries you might have, or to ask for an estimate of work you have in mind. Very happy customer. He came to do an estimate (on time), quoted a fair price and did an outstanding job. Highly recommend this company.